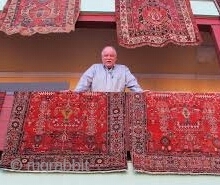 With the passing of John Collins, the rug world has lost a great friend. An independent dealer and writer known for his taste, wit, and kindness, John will be dearly missed. Thank you, John!